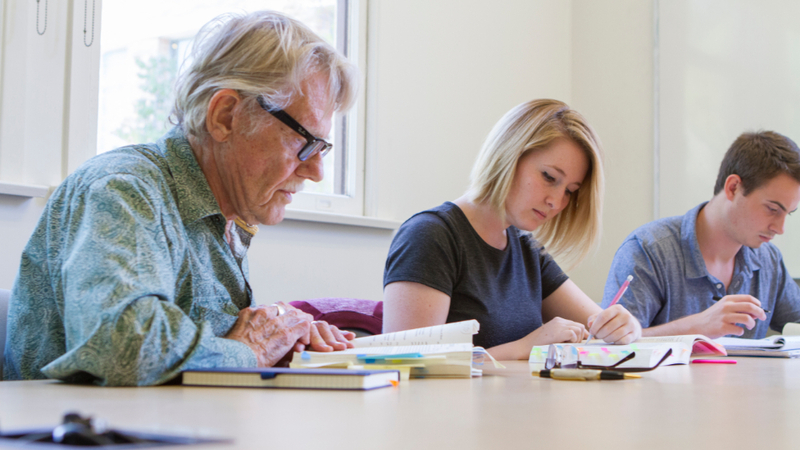 Student-Faculty Research and Creative Activity allows students to work with a faculty mentor on independent contributions to that mentor's scholarly research/creative project(s) or on the student's independent scholarly research/creative project under faculty guidance. This coursework is available to undergraduate students only. This allows students to earn course credit while making an original contribution to scholarship or creative work in a discipline or across disciplines. 291/491 projects are designed to enhance traditional learning formats, therefore no degree or minor program can require 291/491 for all its students, nor should a program use this system to cover a gap in its curriculum or staffing. *682 course designations will be phased out in AY 2018-2019 and no longer available through CUE as of 6/1/19. 699 - Individual Study and Research (application) is available for graduate students. Work directly with a faculty member on his/her independent scholarly research/creative project(s). Pursue independent scholarly research and/or scholarly creative activity under faculty guidance. Participate as part of a faculty-led research/creative team. Undergraduate students enroll in 291 or 491. The student submits the completed form and signed agreement to the Center for Undergraduate Excellence via online submission by the add/drop deadline for regular courses. We will review the form and agreement, notify faculty and student of approval (or request revision), and submit approved projects to the Office of the Registrar for enrollment. Note that the form must be printed and signed, then uploaded as a PDF. ALL applications must be submitted electronically through the link below and will NOT be accepted after the add/drop deadline for regular courses according to the Academic Calendar. The Center for Undergraduate Excellence HIGHLY recommends that registrations be submitted during Early Registration. Must complete Weekly Progress Reports through Blackboard to document student research/creative activity progress/hours each week. Must have a minimum of 5 individual (not group) faculty contact hours during the semester and document those contact hours in Weekly Progress Reports in Blackboard. Must submit an individual, unique, representative summary of their research and/or creative activity at the end of the semester in the format determined by the faculty mentor (e.g. research report, scholarly essay, video of performance or presentation, photographs of artwork, poster for CUSRD); the final summary (Deliverable) should be uploaded onto Blackboard by the end of the semester. In the case of collaborative projects, each student must either upload a distinct, individual deliverable or add a distinct, individual component that makes clear the student’s individual contributions to and/or learning from the semester’s work (e.g., a two-page write-up). Failure to meet these requirements can result in a grade of “NP” or “F” for the course. Must be full-time faculty and cannot be on sabbatical or research leave. Must review and confirm student research/creative activity hours via the Weekly Progress Reports function in Blackboard on a regular basis (recommended weekly) and transfer the number of hours the student spent on research/creative activity per week into the Blackboard Grade Center. Must have a minimum of 5 individual (not group) contact hours with each student during the semester. Failure to meet these requirements can result in forfeiting credits. Grading Option: Pass/No Pass is the preferred grading option. If student opts for a grade, faculty must include a grading rubric as part of the contract. For 291/491 registrations should be submitted to the Center for Undergraduate Excellence during early registration. Deadline is last day to add courses for term based on the academic calendar. Previously students could sign up to do independent research as late as week 5 of the semester by filling out an Individual Study and Research form. Why the new requirements? In order for research to begin and the weekly progress reports to be completed upon the start of the semester, it is important that students sign up for research credits before the term begins. This requirement will also help faculty planning and encourage students to consider participating in research at the same time as their course selection, rather than as an “add-on” to their existing course load. That said, students still have the ability to sign up for research credits by the last day to add courses each semester (the end of the second week), although it is preferred that registration arrangements be made before the semester begins. What’s the purpose of these Weekly Progress Reports again? They serve two purposes: 1) documentation of weekly research progress and 2) recording of hours spent on research to validate the number of credits enrolled. These documents serve as a useful record of research progress for both students and faculty that they can refer to throughout the semester. Does the research conducted have to be based on faculty or student research ideas/interests? Either is acceptable; the specific activities are left to the discretion of the faculty member based on his/her discipline, and it is that students will participate in meaningful, independent research. What about research projects that are conducted in a classroom setting? The 291/491 system only applies to research and creative activity that is conducted outside of a regular course. How many hours research are required? A minimum of 45 hours of research or creative activity is required per credit. Students must complete Weekly Progress Reports administered through Blackboard, which will document student research progress/hours on a weekly basis (student tutorial available); these progress reports will be accessible to the student only for the current week to the student for the current week and will become disabled after that week has ended. Can I take this for credit? The default grading for all 291/491 courses will be P/NP; however, students may request a letter grade upon registration with approval of the faculty mentor and inclusion of a grading rubric. What happens if I do a large amount of hours in one week but few in a subsequent week? The hours are based on the semester. Track your hours on a weekly basis for your faculty to approve. Hours do not need to be evenly spread out by week. What do I do if I don’t log my weekly hours and the progress report closes? The progress reports are open on Bb from Monday to the following Monday (5 PM) giving the student eight days to report hours. This is a major requirement of the course and must be strictly followed. Failure to complete and/or report hours of research can result in a grade of “NP”, “Incomplete”, or “F”. How many credits can I take in one semester? A total of 3 credits can be taken in one semester. This can be split between two faculty mentors. Meet with your faculty mentor to complete this form and to discuss and prepare the agreement; this is an agreement to be completed by the student in consultation with the faculty mentor. Double-check that you have all parts of the agreement filled in correctly. Undergraduate students enroll in 291 or 491; Don’t forget to attach a rubric, developed with the faculty mentor, if the coursework will be graded. Once completed, sign the 291/491 Student-Faculty Research and Creative Activity Agreement. Request the faculty mentor sign the 291/491 Student-Faculty Research and Creative Activity Agreement after the student and faculty mentor signatures. Request the Chair/Associate Dean sign the 291/491 Student-Faculty Research and Creative Activity Agreement after the student signature. The Chair/Associate Dean’s signature indicates approval, if all requirements are completed, for the student to do independent research or creative activity and for the faculty mentor to bank the credits; the Chair/Associate Dean is not obligated to sign the form. The student submits this completed form and signed agreement via online submission by the regular registration deadline. We will review the form and agreement, notify faculty and student of approval (or request revision), and submit approved projects to the Office of the Registrar for enrollment. See www.chapman.edu/cue (Student Resources) for online submission. What other independent research courses are available? Please see “Individually Directed Course Options” to confirm the 291/491 course is the best fit for you.